At the knee of the mysterious Branwen, who claims to be his mother, the boy learns lore of the Celts, Druids, and people even more ancient. Yet the secret of his identity seems always to escape him. To discover the truth, and the secret of his own powers, he runs away, voyaging to the mist-shrouded side of Fincayra, an enchanted land between earth and sky that is being destroyed by blight. It is there he discovers that the fate of this land and his quest are strangely entwined. 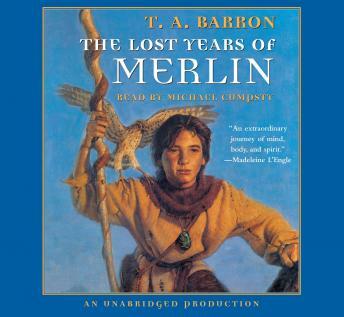 Combining all the passion, power, and spiritual depth that are T. A. Barron's hallmarks, this book adds a thrilling new dimension to the legend of Merlin.